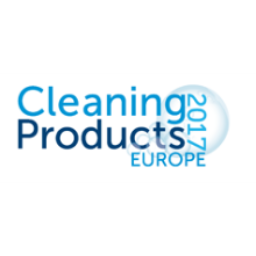 The 2017 edition of Cleaning Products Europe will feature an amazing line-up of speakers from organizations such as European Commission, CECED, A.I.S.E., Sainsbury's Supermarkets, International Flavors & Fragrances, Euromonitor International, ACI, CEFIC and many more. Whether you're a specialty chemical supplier, ingredient suppliers, cleaning product manufacturer, consumer brand or retailer, Cleaning Products Europe this is one event you simply can't afford to miss! Join 150 attendees this March at Cleaning Products Europe 2017 in Barcelona, Spain. Bio: Ann Dierckx graduated as an engineer in chemistry and agricultural sciences in 1990 at the Catholic University of Leuven. She holds a PhD in engineering in chemistry and agricultural sciences from the same university (1995). Prior to joining Cefic in 2008, she worked in the field of disposal of radioactive waste, first at the Belgian Nuclear Research Center in Mol, Belgium, later at the Belgian Agency for Radioactive Waste and Enriched Fissile Materials (NIRAS/ONDRAF) in Brussels where she held several coordinating positions. 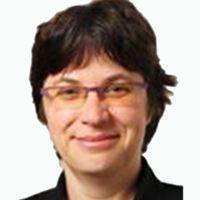 In 2008, she joined Cefic as environmental policy manager, dealing with policy issues in the field of industrial emissions, air, water, soil and biodiversity as well as occupational health related issues. In 2014, she was appointed Sustainable Development Manager. In this function she is co-developing and implementing the Cefic Sustainability strategy, as well is she leading the Cefic Circular Economy and Bioeconomy Task Forces. 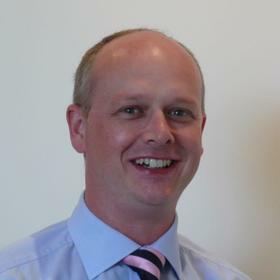 Bio: Ian Bell manages the research programme for the global home care industry at Euromonitor International, which he joined in February 2001. In his current post, Ian has direct responsibility over the content and quality of Euromonitor's Home Care research, which provides strategic analysis of the global market as well as in-depth coverage of 80 countries worldwide. Ian is also responsible for working with the international Home Care client base of Euromonitor's online database Passport. 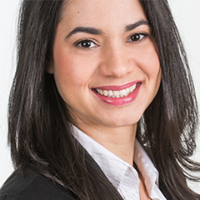 Bio: For last year she has been working on the EU Ecolabel focusing on several product groups including tourist accommodation services, detergents and rinse off cosmetics. Previously has been working for the Latvian government, representing the country in international environmental negotiations during the rotating Presidency of the Council of the European Union. She is passionate about sustainability, nature protection and healthy lifestyle. Bio: Malin Edvardsson, PhD, graduated in Physics from Chalmers University of technology, Gothenburg, Sweden in 2006. Having completed her PhD in the research group where the QCM-D technology was born, she continued with a post-doc that focused on experimental setups combining QCM-D with complementary technologies. In 2010 Malin joined Biolin Scientific to work as a Product Manager for the Q-Sense brand. Bio: Marta covers Waste and Materials issues at CECED and supports other environmental topics. Before joining CECED, Marta worked for almost three years in a European Producer Responsibility Organisation where she acquired a deep knowledge of WEEE management processes. Marta has also knowledge of Legal Compliance and Due Diligence on Health & Safety and Environmental issues following active experience working for an international consultancy.Marta holds a Bachelor of Chemical Engineering from the University of Salamanca (Spain) and a Master Degree on Environmental Engineering and Management from the Industrial Organization School (EOI Madrid, Spain). She won a Scholarship to the Polytechnic University of Valencia where she started to specialize in environmental management. A Spanish national, Marta also speaks English fluently and has a conversational grasp of French. Bio: Mauro Davanzo, chemist, has covered the industry sectors of Paper and Corrugated with Cargill, Thermoplastic Polymers with Radici Group, Food and Beverages with Illy Caffe’, and ultimately specialized in the cleaning sector by developing Detergents with Reckitt Benckiser in Fabric Care, Surface Care and Dishwashing categories, Basic Chemicals and Fragrances for detergents with Akzo Nobel and IFF, and finally Cleaning Tools with Vileda – Freudenberg Home and Cleaning Solutions. In this journey he has operated in Italy, Germany, Sweden and Singapore. Bio: Dr. Susanne Zänker has been Director General of A.I.S.E., the International Association for Soaps, Detergents and Maintenance Products, since August 2005. As head of the Association and based in Brussels, she leads the A.I.S.E. Team and the membership, consisting of 30 national associations, 18 corporate members and 6 value chain partners across Europe. She interacts with stakeholders on a daily basis in spearheading the industry agenda. Dr. Zänker graduated as a Doctor in veterinary medicine at the University of Liège, Belgium in 1989. From 1989 to 1990 she focussed her studies on a European Commission project on the subject of rabies eradication. In 2016, she also received an Executive Masters in International Association Management at the Solvay Business School (ULB) of Brussels. 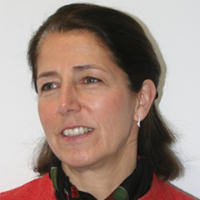 In 1990 Susanne joined Boehringer Ingelheim Vetmedica GmbH in Germany as Product Manager for vaccines. In 1993, she moved to the European Federation for Animal Health FEDESA (now known as IFAH-Europe), where she became Technical and International Affairs Director in 2000 and Managing Director in 2004. Susanne is the author of several scientific publications and was a speaker at numerous international symposia and congresses on animal health until 2005. Today, Susanne is proactive in presenting updates on key developments for the detergents industry in Europe at major events and conferences on behalf of A.I.S.E. Bio: Brian T. Sansoni is Vice President of Communication and Membership and Vice President of Sustainability Initiatives at the American Cleaning Institute. ACI is the trade association for the cleaning products industry in the United States, based in Washington D.C. Since 2000, Mr. Sansoni has served as a spokesman for ACI and is responsible for the association’s external and internal communication activities, including media relations and promotion of the ACI’s technical, government affairs, sustainability and consumer education activities. In 2012, he was named Vice President, Sustainability Initiatives, reflecting the work already done to build ACI’s sustainability programs that showcase how ACI members are leading the way in demonstrating sustainability every single day. This includes the 2011 release of the first-ever Sustainability Report for the U.S. cleaning products industry. Mr. Sansoni also directs ACI’s membership development and member retention efforts. Prior to joining ACI, Mr. Sansoni worked at the Grocery Manufacturers of America (now Grocery Manufacturers Association), the world’s largest association of food, beverage, and consumer product companies. While there, he served as Senior Manager for Public Policy Communications, working as a spokesman for association positions on issues like food biotechnology, food and product safety, obesity, and irradiation. 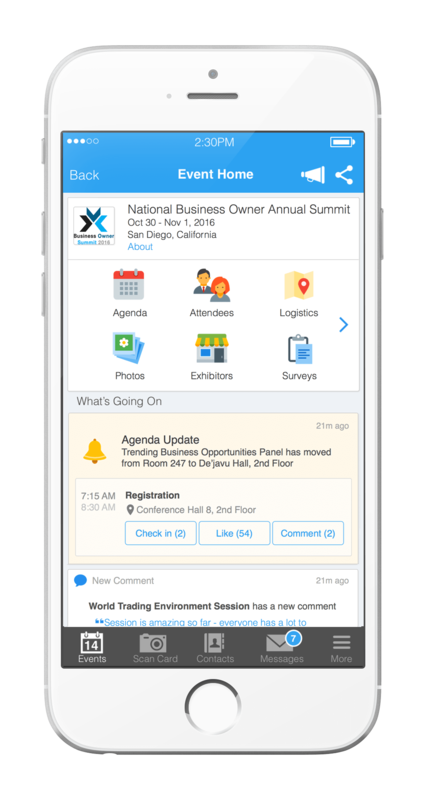 Mr. Sansoni’s role as a trade association communicator has led to appearances on such venues as NBC Nightly News, The Today Show, Fox News, CNN Talkback Live, Good Morning America, MSNBC, and numerous local TV news programs. As a spokesman and media relations expert, he has successfully placed his trade associations in such publications as the New York Times, Wall Street Journal, Washington Post, Los Angeles Times, USA Today, Time magazine, and numerous wire stories and local and regional newspapers. For more than eight years, Sansoni was a press secretary in the United States House of Representatives, serving as a spokesman for four Members of Congress. Prior to that, he worked a radio news reporter in Pennsylvania and New Hampshire. Sansoni is a graduate of Lock Haven University in Lock Haven, PA, where he received a B.A. in Broadcast Journalism. Bio: Dr. Andras Nagy, Applied Technology Manager, Household Care, North America Evonik Corporation. Andras has been working at Evonik (formerly Degussa) for 13 years in Richmond, Virginia in new product development and application in oleochemicals and organomodified silicones supporting home- fabric- car care and I&I. Prior to his current employment he held various academic and industrial positions at the University of Akron, OH, at the Central Research Institute for Chemistry of the Hungarian Academy of Sciences and at Capital Chemical Co. in OH. He holds a Masters degree in chemical engineering a Doctorate degree in polymer chemistry and a Ph.D. in macromolecular science. Beyond work and family Andras tries to find time for his hobbies which includes landscaping, baking and long distance running. Bio: Dr. Mark Stalmans obtained a Ph.D. in Colloidal and Interphase Chemistry in 1986 (Leuven University, Belgium). He joined Procter & Gamble in 1987 and has managed global and regional safety, regulatory, lifecycle analysis and sustainability programs for household and professional product categories. 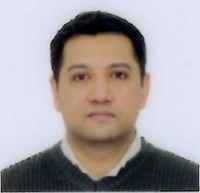 Since 2013, he is manager Global Product Stewardship & Sustainability for the Global Fabric & Home Care Business Unit where he coordinates P&G’s internal and stakeholder programmes around sustainability and innovation. He is an active member of the A.I.S.E. and CEFIC industry association networks and supports safety and sustainability initiatives such as A.I.S.E. Charter for Sustainable Cleaning, www.cleanright.eu, ‘I prefer 30°’ (www.iprefer30.eu) and the CEFIC Sustainability Programme Council.